When you're attempting to hunt multiple predators, having your head on a swivel and being ready for anything are your primary objectives. Knowing as much as possible about what you're hunting or may encounter also can help you be more successful. These proven tips from top hunters can help you be more successful in the field when you're hunting predators. The most common and widespread of predators, coyotes are the most opportunistic eaters of the all. 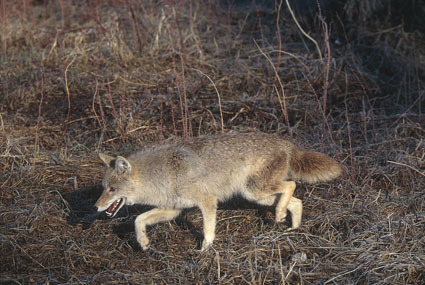 Coyotes scavenge anything including carrion, rodents, small birds, small mammals, amphibians, insects and even fruit. That said, you can lure a coyote with most prey-in-distress calls including the dying rabbit, deer bleats, woodpecker screeches and rodent squeaks. The diminutive stature of red and gray foxes tells a tale of a predator that’s hunting smaller prey. Foxes target a variety of small birds and small mammals. They also eat amphibians, insects, bird eggs and occasionally even fruit. Like the coyote, gray foxes partake of carrion from time to time. Bobcats live in and prowl the thickest cover available. They prefer thick cover to stalk the small animals they dine on, but they also stay close to dense brush to escape from larger predators such as coyotes and mountain lions that hunt them. Bobcats thrive on rabbits, but don’t shy from small birds and mammals. As the mountain lion increases its range across the continent, it’s wise to stay on your toes when calling in areas known to harbor these large cats. Lions feed on anything, large and small, but thrive on a diet of deer. Studies show an adult lion kills approximately one deer a week for survival, and they will target livestock. Even though mountain lion densities are higher than ever, their timid nature and sparse populations offer little chance for calling success, but be aware there are more and more reports of lions coming to predator calls every season. Finally, your calls might entice Smokey for a look, but he’ll be looking to snuff a snack, not a fire. Like coyotes, bears eat everything and anything so any call might be enticing. As omnivores, bears prey on and scavenge anything that smells fresh or putrid. Like mountain lions, the odds of calling in a black bear are slim at best, but be aware of the possibility if you call in black bear habitat. Since top-of-the-line predators often prey on predators lower on the food chain, you don’t want to utilize sounds that might send lesser predators ducking for cover. 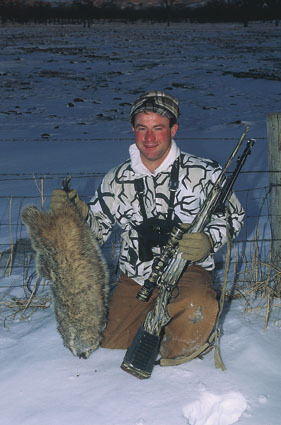 A good example is the current trend of using coyote vocalizations combined with prey-in-distress calls. Howls might tempt a call-shy coyote into range, but rest assured that no red fox, bobcat or even mountain lion will show up. Even though predators are the bullies of the forest, they don’t look for trouble unless they are starving. 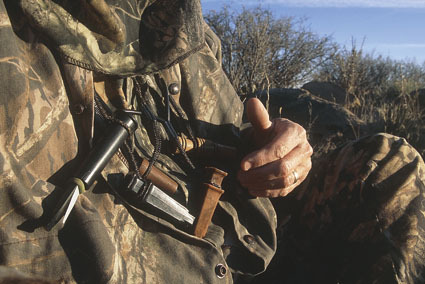 Your first plan should be to master a one-in-all call with the strength and versatility to entice a variety of predators. After reviewing the main diet of most animals, the best sounds to mimic include those from the little animal section. No predator can ignore the sound of a cottontail, wounded bird or squeaking mouse. Berger believes coyotes ignore a flicker call because their primary food is rabbits and mice. Chasing birds around expends too much energy for a coyote, whereas bobcats are more efficient bird-catchers. Brad Harris, a predator calling expert from Missouri and past public relations director for Lohman game calls, suggests the use of an open-reed call when trying to lure in more than one predator. Using rabbit-in-distress calls with a focus on coyotes and bobcats, Berger has called in raccoons, badgers, hawks, owls and even deer. The stickiest situation Berger encountered when calling was when a whitetail doe mistook him for a wounded fawn and faced him down from 10 feet, all the while stomping and slashing her hooves. After narrowing down your selection of sounds determine the best setup for the highest probability of calling in at least one of the critters inhabiting the neighborhood. Whether you hope to call mountain lions or red foxes, you need to be able to see the predator to shoot it. If possible, set up on an elevated perch that allows you to look into cover; if you can’t find an elevated perch, set up by an opening. Predators, particularly cats, use every shred of cover to slip in undetected. Bobcats even forsake the wind and rely on their eyesight to guide them. Despite this, set up in a downwind position to ambush most predators trying to slip around for a rear sniff. Here’s one bit of sage advice a Western outfitter once gave me. “If you intend to call in a mountain lion, be sure to back yourself up against a cliff so the cat can’t sneak up from behind and pounce on you.” Playing mind games with predators capable of making you an entrée requires a bit more planning. I use a standard approach to my setups regardless of what I’m trying to call. Primarily, I try to make a quiet, unnoticeable approach, working into the wind and utilizing cover when available to hide my entrance. I also like to be elevated and be able to see a good degree downwind to catch any predators circling downwind. The reaction time of predators varies, but one thing is for sure: the longer you stay the better your chances of success. Coyotes and foxes routinely rush in to beat the 15-minute clock predator hunters religiously follow, but that clock doesn’t work for bobcats, mountain lions or black bears. Stay at least 30 minutes to an hour on each stand. If you really want to lure in either a lion or a bear, an hour-long stand is always best when bigger game is a possibility. “As a rule-of-thumb I’ll wait 15 to 20 minutes on a coyote setup, then add another 10 to 15 minutes on the end of that if I’m in a location where I think a bobcat might show,” explains Berger. Berger walked out to verify the shot, he discovered a bobcat that appeared within the first 15 minutes along with the coyote. Most predators you’ll encounter will fall quickly with a well-placed shot from popular varmint calibers such as the .204 Ruger, .220 Swift, .223 and the .22-250. If you intentionally target larger predators, beef up your arsenal to larger calibers that are more efficient for such game. At least bump up to the lethal Remington 6.8 SPC, and it wouldn’t be overgunning yourself for bear to hunt with a .30 caliber variety. 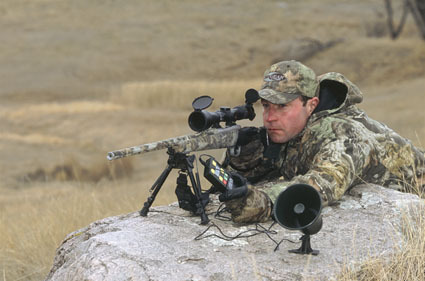 Having just one predator show up to your setup grants you a stirring experience while predator hunting, but by employing additional tactics, giving a lot of thought to the call, and hanging around a bit longer, you might have extra guests show up. Throw the perfect predator party and invite everyone to your setup.